A top Kinahan lieutenant who was arrested in a raid Lithuania has been jailed for 32 years over his part in smuggling £68m (€77m) of cartel cocaine and cannabis into Britain. James Mulvey tried to throw off police by not staying in one place for too long and checking into hotels for seven years. He paid in cash - sometimes through third parties. 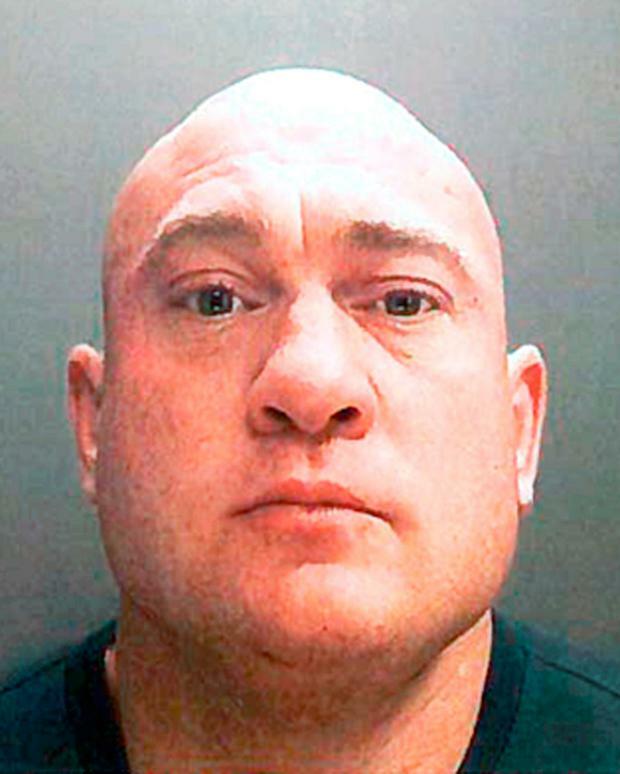 The 42-year-old, originally from Solihull in England's West Midlands, routinely used so-called 'burner' mobile phones, which he quickly disposed of, making tracking his movements difficult. However, he was tracked down and arrested in Lithuania, and was yesterday found guilty of two counts of conspiring to bring cocaine into England, and two counts of conspiring to smuggle cannabis between 2006 and 2007. Mulvey, who was once a business partner of murdered Kinahan mobster Gerard 'Hatchet' Kavanagh, was jailed for 32 years, of which he will serve half before he is eligible for release. The Sunday World reported at the weekend that Mulvey was regularly seen in Dublin in the company of Daniel Kinahan and Liam Byrne. The court had heard he earned up to £75,000 (€85,000) in cash from drug-running every week and built a €1.7m Spanish villa near Marbella with indoor and outdoor pools and a cinema. He also drove high-end cars such as Land Rovers and Mercedes, bought Rolex watches and moved between five-star hotels. The father-of-five moved to Spain when the police started closing in on the sophisticated smuggling operation he helped to run. Living abroad, he enjoyed a luxury lifestyle, employing a bespoke package holidays firm to make 22 trips. 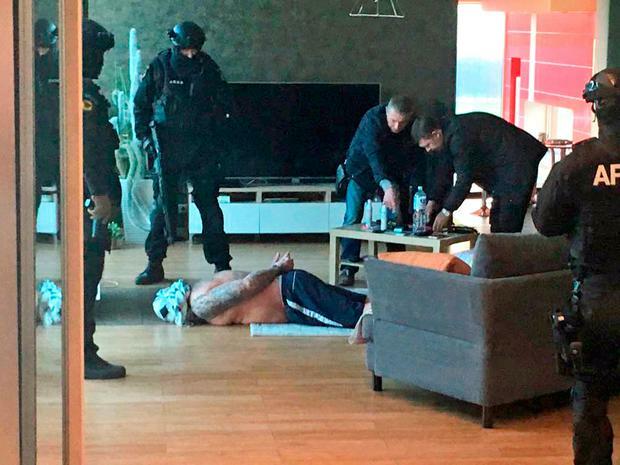 Mulvey (42) was secretly recorded talking about his Kinahan cartel partners, saying: "They go to the people you love, they kill the people you love." He was also recorded talking about the murder of his one-time business partner Kavanagh, who was gunned down in Spain in September 2014. "It's all my lot, all my lot all killing each other," the court heard. He was covertly monitored during a two-year investigation by Britain's National Crime Agency (NCA), which led to him being arrested in March 2017. During that time he was recorded by the NCA saying: "Four, four, when we first started there was four bosses, me, 'Glasses', him who's just got shot dead and another kid. The other kid's dead, he's dead, so there's just me and Thomas left mate." It is understood that the man referred to as 'Glasses' - also named as Thomas - is the gangland codename for a senior Irish cartel drug boss based in the UK. The 'kid' is understood to refer to Paul Kavanagh, shot dead in Dublin in April 2015. The fourth was 'Hatchet' Kavanagh - Paul's older brother - who was gunned down in Marbella. Paul Kavanagh was shot dead by the cartel for stealing cash. 'Hatchet' Kavanagh was lured to Harmon's Irish Bar in the upmarket resort of Elviria, near Marbella, by a mystery woman, police believe. The 44-year-old had been drinking on the terrace when the gunman struck. They raced toward him, shooting him three times in the arm and three times in the back as he tried to run back inside the bar to safety. After he collapsed in the doorway of the bar they shot him twice more in the head. Witnesses told police the assassins were like "ninjas" because one was dressed from head-to-toe in black. One of the final shots was to the back of Kavanagh's head as he lay dead or dying.